Travelling With Illegitimate Airline Tickets - What Would Happen? According to the International Air Transportation Association, airlines lose close to US $1B per year due to fraudulent fares. But what happens to passengers who travel with those illegitimate tickets? How could you end up with bad travel tickets? Well, you could be a dishonest person actively trying to buy reduced travel tickets from questionable sources. We actually tried to buy tickets ourselves on the darknet, and we couldn’t believe how easy it was. But unsuspecting travellers also get scammed. In the UK alone, more than 4,700 passengers were resold tickets bought by scammers in 2017 – losing an average of £1,500 per person. Talk about a ruined holiday. And worse – that’s an increase of 25% year on year – which means scammers ran away with £6.7 million that year. So how does it happen in the first place? In two words: fake websites. Fraudsters have become increasingly adept at creating pages for third party booking companies – or even inventing whole companies that do not exist, but appear extremely professional. 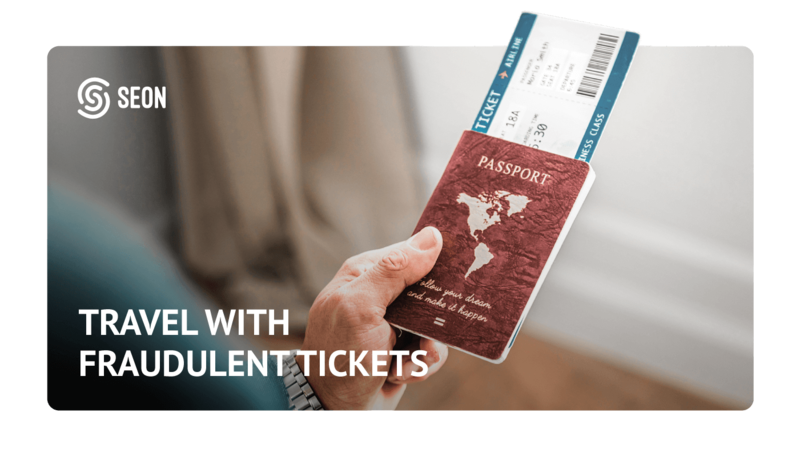 They then wait for your booking choice, and purchase the tickets at full price from legitimate travel companies or airlines. Because they pay with stolen credit cards, it doesn’t actually cost them anything. They can afford to resell them cheaper – it’s all profit. But when you buy these reduced tickets, you deposit money directly into the fraudster’s accounts. Unfortunately, this means very few chances of ever seeing that money back. Due to massive losses from fraudsters, Europol, The European Union Agency for Law Enforcement Cooperation, launched an operation designed to catch and prevent travelling on illegal tickets. The GGAD, or Global Airport Action Days, detained 195 individuals in 2017 to try and dismantle organisations that benefit from illegal travel tickets. This could happen to you too, even if you believe your tickets were bought legitimately. However, since it is so difficult to identify victims from criminals (who also travel with fraudulent tickets), law enforcement organisations need to implement a “one size fits all” policy, to try and root out criminal activity. Unsuspecting travelers are therefore detained, but rarely charged with any crimes. However, escaping criminal charges isn’t the end of the story. As Rob Wainwright, Europol’s Executive Director, said: “Airline ticket fraud poses a range of security issues, and we cannot allow anyone, in particular serious criminals and terrorists, to travel around the world anonymously and to endanger others”. In short, buying illegal tickets doesn’t only cost airline companies and travelers money. It is also a lucrative side-business that goes to fund a whole range of illegal activities for organised crime, such as illegal immigration, human trafficking, drug smuggling and terrorism. As the Internet makes it possible for more businesses to act as third party travel tickets agents, it’s important to be as vigilant as ever. Online services providing illegal fares are on the rise, and it’s easy to accidentally be sold a cheaper, illegally-acquired fare from a scam company. Moreover, law enforcement activities are playing a constant game of cat and mouse with fraudsters, who are increasingly good at exploiting the latest phishing and scamming techniques. These will then help fund larger criminal activities, some of which have very grave consequences. But hopefully implementing the right filtering and prevention tool can make a dent in their funding – and help the good guys win.